Peter described them as truths, half truths, damned lies and magic. They are certainly slippery creatures and refuse to die. Take the old hospital practice of removing flowers from a ward at night; silly nonsense based on the idea that although plants make oxygen in the day they use it up at night when they respire – the image is worse these days, they make carbon dioxide! Of course the amounts are small. A single human breath will emit more carbon dioxide than a plant will make all night. 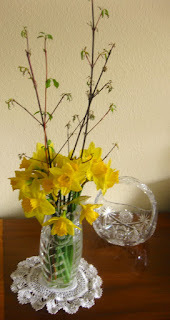 Or perhaps removing flowers was an old fashioned practice, the reasons born in antiquity seeking a new explanation! 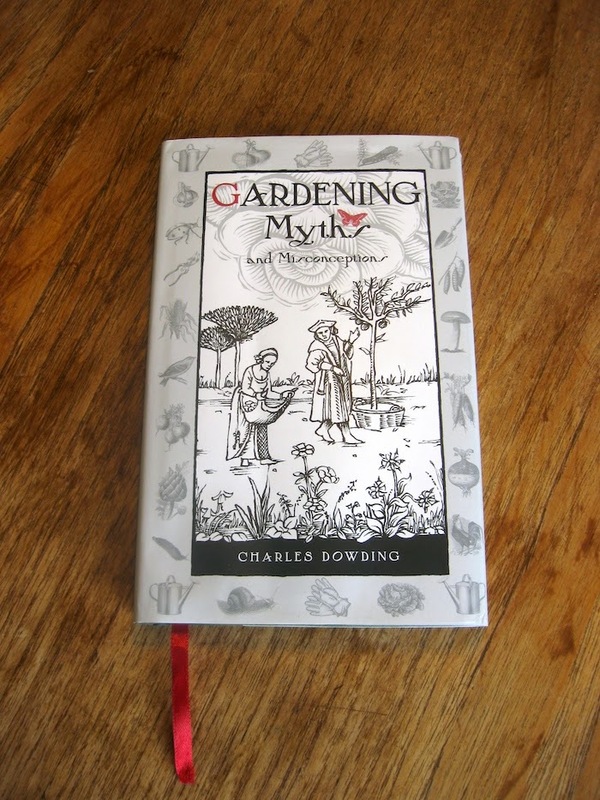 Garden myths and even garden truths frequently have their measure of pseudo-science. If I were in an argumentative frame I might even find reasons to justify removing hospital flowers. Perhaps some flowers will shed pollen or even smell. Allergies seem to be very common. I fear I might not be doing you a service today when I attempt to destroy your illusions. Take a real horticultural example. Many gardeners believe that evening or night is the only time to water plants. There are reasons - some of them wrong and others insignificant. It is unfortunate however that the belief extends to not watering at all in the day. I shudder at the thought of a plant dying of drought in the morning and the gardener waiting to water later. I shall continue to benefit from high water pressure from the tap on a Summer morning when it’s a mere piddle at night when everyone else is watering. Of course if watering in the evening is a pleasant and relaxing end to the day do carry on! I sometimes fear that when I write about myths that no one has ever heard of I do my bit in keeping incorrect notions alive! It used to be believed that soil cultivation was needed for numerous reasons and that this was essential to grow plants. It would seem that although there are sometimes good reasons to stir the soil that if you can control the weeds – usually with herbicides in the case of commercial production – there is no need to cultivate at all. In the old days it used to be believed that cultivation was needed and for example hoeing conserved water. Agricultural research showed this to be wrong. Where do myths come from? They arise from trivial convenience and with time are elevated to need. It is convenient to add egg shells to compost but they are no value at all as a source of calcium. Un-decomposed egg shells are found in Archeological digs!…..scientist Peter Williams, (henceforth PW)) says you would need very strong acid to dissolve egg shells. They arise from common sense. Common sense apart from not being very common is frequently wrong. 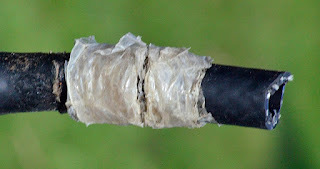 Painting pruning wounds with sealants satisfies all our instincts and yet has repeatedly been shown to be harmful. This myth persists for too further classical reasons – it is often stated by authoritative figures and we tend to look for ‘special cases’ - note apple canker is NOT a special case. Seeking explanations of actual problems – often by the means of misunderstood science. Leaf scorch is a genuine phenomenon although much less likely than people imagine. It is widely believed that water makes water droplets on leaves concentrate sunshine. Utterly wrong. More mis-appliance of science. Mycorrhizal fungi can be hugely beneficial to plants. Levels of bacteria can influence or indicate soil conditions of life or death. It is almost invariably useless to add such organisms to the soil from a bottle! Myths embedded in belief systems. Organic fertilisers are not generically better than inorganic ones. In my view they are frequently grossly inferior. This does not mean that any specific fertiliser cannot be better for individual tasks. There is a belief that fertilisers are bad for soil structure. Although fertilisers’ growth stimulation can hide other bad practices, when properly used they can bring huge improvements to soil fertility. Whims of famous people. I have written about the nonsense that rhododendrons exude natural plant toxins. It arose because the idea sounded plausible and it was repeated at a Conference. Editors! They like a good story! They don’t like it however when one that they have used repeatedly is shown to be wrong. Apparently recommendations to grow nettles in your garden to encourage certain butterflies is misguided. Insects hosted by nettles prefer real strong stands in the wild. Only very rarely are the said butterflies seen on nettles in a garden. 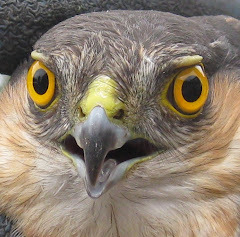 When one ecologist conntributer reported this embarrassment to an erudite journal it was edited out. Claims that will make money! There are a lot of gullible gardeners around. There are plenty of snake oil vendors too. For many products scientific evidence of efficacy is zero and any research is inconvenient. The gullible actually pay good money to put powdered rock on their garden. * Wrong conclusions drawn from sound gardening practice! I frequently promote all the advantages of recycling organic matter. 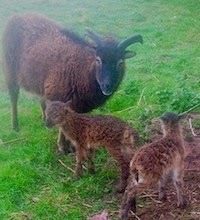 There is a whole cult of biodynamics. This claims that nutrients can be ‘mined’ by deep rooted plants. It is true that certain elements can be brought up from considerable depths. Indeed trees have been shown to indicate mineral deposits below. In your own garden levels of nutrients are minimal below the topsoil. Your most fertile organic debris received its nutrients from roots near the soil surface. By all means compost your comfrey or hoe and recycle the tops off your marestail. They are all good organic matter but don’t bother your head with thoughts about dynamic accumulation…. whoops I noticed on my old post about green manuring I told this porky myself. 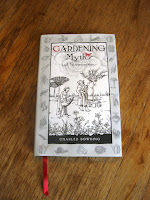 I titled my early posts about myths ‘Garden myths debunked’ This was rather pretentious but easy to do for myths that were so obviously wrong. I soon changed to a title that more reflected myths’ occasional part truths. You can find links in my theme column. Unfortunately Google only brings up the latest ones from any long list – hence my sub-divisions of their titles. Most of the myths I have written about such as those that say you should not apply glyphosate or fertiliser in Winter are separately titled! I must thank Canadian blogger Robert Pavlis for some of the myths I mention today. Over the pond the American market would seem to be saturated with false claims. (In the USA they have shown recently their susceptibility to lying). Robert is tenacious in tracking garden myths down and explaining why many are nonsensical. Not only does he do his own practical demonstrations, his articles are widely researched, plainly explained and sources are precisely linked. Apart from tackling trivial misunderstandings he is prepared to take on major issues. He recently took to task a famous Ted Talk. Widely circulated the talk makes highly inflated claims for the benefits of plants in buildings. The talks’ flagship propaganda is a famous building stuffed with plants. The benefits claimed for the plants are more likely the result of the building’s specially installed air purification system! Although I have suggested elsewhere that organic gardening is itself based on the nonsense that things inorganic are inferior to those ‘organic’ I am a great admirer of organic gardener Charles Dowding. I reviewed his book about myths. 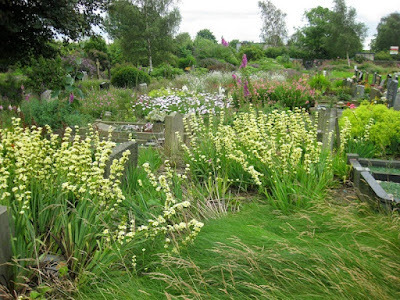 He challenges much of traditional garden lore and is well worth reading. The Garden Professors do not seem to publish any more. 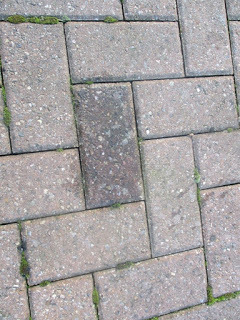 If you locate their old site you will find very interesting reading about misguided and over rated gardening practices. Unfortunately their prime mover was sacked from an American university extension department because she spent her time informing amateurs rather than churning out money-raising research. Linda Chalker is still very active on Facebook and the site is a very good source of information. They have a policy that technical data quoted by followers is based on ‘peer reviewed science'. The idea is to keep out the nonsense. I do have my own reservations. Wrongly interpreted science – in the press a very common occurrence – leads to the greatest myths of all. Will this purify the air? I read in last week’s New Scientist a serious article about the problem of city air pollution. The article concludes with six bullet points of suitable measures that might be taken. The last one is to get a house plant! Will Roundup damage my plants? 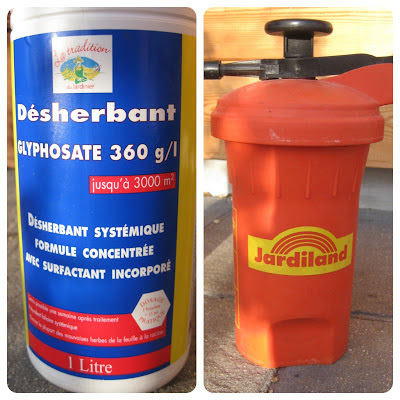 How careful do you need to be when using glyphosate? The answer to the above question is very careful. If you are one of those people who think you can dangle a sprayer and somehow your weeds will be killed and your plants won’t, you are wrong. Glyphosate is one of the best herbicides ever invented but it does not know the difference between a plant and a weed! Although knowledge and caution is required to use glyphosate some people are excessively careful. It always amuses me when gardeners earnestly tell me how they bravely tangle a convolvulus shoot in a beaker of dilute spray for example! If you have a garden full of this weed that way takes for ever. With skilled use of a hand sprayer you might treat all of the bindweed in a small domestic garden in the time that others treat the weed growing over a single plant. You can take a minute to cut this back to the ground and it will be back in a fortnight. 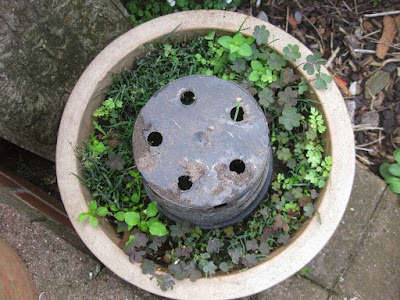 I confess I have been known to do fiddly things spraying such as to place inverted pots and tubs over a friend's delicate plants when surrounded by a jungle of perennial weed! My article today looks at the balance between over scrupulous care and confident use. You really need to read all of my glyphosate posts to become expert but today I would like to explore how far you can go. You may know that if working for clients that you can save them a shed load of money and hugely enhance their garden by using glyphosate. But beware. People who are doubtful about chemicals can be hugely sensitive to even one yellow leaf on a plant. You can kill client’s plants with impunity as a result of gardening incompetence, ill timed pruning and inappropriate soil cultivation. Plant death as a result of shredding surface roots or chopping dormant plants by excessive digging might be regarded as 'just one of those things'. If glyphosate has been used anywhere in such a persons’s garden it is sure to be blamed. Plants are routinely sick and die for all kind of reasons. I have even seen glyphosate wrongly blamed for leaf discolouration in places of higher horticultural education! Some clients are extremely happy to pay you for toiling away repeatedly pulling out couch grass rhizomes. Some gardeners are very happy to take their money. I have used glyphosate for about forty years and must have used a fifteen litre professional sprayer more than five thousand times. Other methods of application such as hand sprayers almost as often. Most of the following have happened to me, not all and not very often. *Walking on sprayed weed and then walking across a lawn. *Not spraying a knapsack diaphragm dry of liquid and next using a lawn weed killer. You will only do this once! *Attempting to spray at a constant pressure when you should be adjusting your pressure to the changing conditions. *Using a cheap knapsack sprayer. If you are serious get a proper one at up to £200. Think how much more you spend on your mower! *You might be aware that is safe to spray over the top of dormant bulbs and dormant herbaceous plants but neglect to observe they are starting to sprout. Some Michaelmas daisies and phlox are very sensitive to consequent short term damage. What a gardener attempts using glyphosate in his garden should depend on his plant understanding and level of practice. I have just made up the lists that follows but it might indicate a measure of what skills he needs and what he can trust himself to do. Spraying paths and open areas devoid of garden plants. Spraying fence lines and around artefacts in weedy areas. Able to make 'management decisions' whether plants should be regarded as a plant or a weed! The poached egg plant is a self seeding annual. You can ‘spot treat’ a rare individual weed that penetrates the canopy. If you have a real problem you can get a clean start when it naturally dies in July. If excessive seedlings germinate in August and spread too far regard them as weeds! * Normally spray commercial glyphosate diluted at between 1in 50 and 1 in 80. * Usually your pressure will be a result of between four pulls on the handle and as low as one. I have even used gravity flow for a mere trickle. Your nozzle should usually be pointed down and sometimes as low as an inch from the ground. More usually a few inches although as much as a foot above large densely weedy spaces. 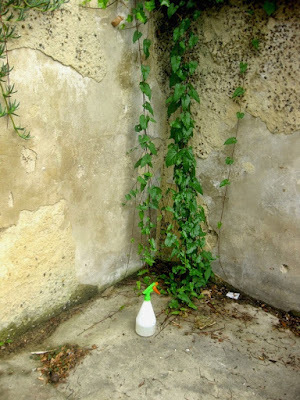 When spraying in tricky situations or where the weeds are sparse you will be using your trigger like a yo-yo. In other situations you will maintain continuous flow. Realise that soft new growth is very sensitive to misdirected glyphosate. Be particularly careful when garden plants are small and when spraying amongst clumps of herbaceous perennials in Spring and early Summer. Recognise when to not even try. Not between your vegetables. Even shrubs that are relatively tough have sensitive leaves if making a new flush of soft growth. The other side of the coin is that tougher stems of more mature plants or the barky bases of shrubs (not green or sprouting) normally suffer no damage whatsoever from minor inaccuracies in direction. In as much that glyphosate is a very poor choice if you actually want to kill shrubs you have to be a very bad sprayer indeed to do shrubs and trees any harm. There are exceptions. Elderberry leaves are amazingly sensitive and even though you need several goes at killing brambles, garden blackberries and related climbing hybrids are very easily damaged. You will never harm ivy! Although if you want to effectively kill a difficult perennial weed such as ground elder you let it grow vigorously and then spray it all over this is not the same situation to when a sturdy herbaceous perennial receives just a tiny amount of misdirected spray. A large plant usually has the resources to just 'shrug it off' with no damage at all. When herbaceous plants are completely dormant when they have died down you can spray over them and if difficult weeds growing among them are still green it is an opportunity to tackle them. The same opportunity arises when deciduous shrubs have dropped their leaves. Most evergreens with tough shiny leaves are unlikely to suffer harm when you spray under the canopy. You can be very bold indeed when dormant ground covering conifers such as junipers are entangled with weed. Even some sturdy evergreen herbaceous plants such as Helleborus orientalis and Cyclamen hederifolium are surprising resilient. This would be an excellent time to spray still green and vulnerable couch grass. I never need to! You would have to be really incompetent for your spray to harm this juniper. Note you will never eliminate the couch grass if you just pull it out! We had both sweated all day for all of seven hours feeding a hungry bonfire as fast as we could go. It was the residue of Cathi’s huge overgrown hedge. Half an hour after Peter had gone home and left the huge pile of burning embers I got out the hosepipe…. That day I gained seventeen piled barrow loads of the lovely black stuff. What a waste it would have been to let the bonfire burn through. In this case it would have taken several days of burning and smoking out neighbours. All that extra carbon dioxide and nitrogen oxides entering the atmosphere, probably doubling that released by the original very hot rapid firing. All to gain a little potash fertiliser which is a weak source of lime and very little potassium. Zero potash if later left in the rain! Instead I have a long lasting nutrient absorbing, physical soil improver and ingredient for my compost. You might have doubts about pouring water on a fire. In my own usual circumstances I burn three or four months of accumulated woody prunings and use three or four watering cans to douse my fire and generate between one and two barrow loads of ‘my own kind’ of char. You might imagine it is a dangerous process pouring water on your fire. In fact it is very benign. It is the proverbial damp squib and the hot burning embers turn immediately black. No spitting or anything nasty! I have become quite skilled when the last wood has been thrown on the fire when after a few minutes I extinguish perhaps a third! I comb the black with my garden fork to push over any ‘lumps’ onto the still burning fire. A couple of repeats at say ten minute intervals and all that is left is a still burning corner. That can be extinguished and used to start my next fire. Alternatively the very small pile can be carefully teased to one side and left to burn through! My method adds perhaps half an hour supervising my bonfire. It does have the safety advantage of not leaving burning ashes unattended. Regular readers know that I normally make my own seed and potting compost with my own sandy soil as the sole bulky ingredient. I do not recommend this generally because most garden soils are unsuitable from several standpoints. I do however feel that most gardeners can benefit from using garden soil when they grow in large tubs, say ten litres or more. I originally took the view that the char I was making was pretty useless when I added it to my compost. That was before I realised that raw char needs to be improved by a process of weathering and needs to be fortified with a large quantity of nutrients. After all charcoal is the great absorber. When charged with nutrients these become a reservoir for future plant needs and once ‘in the system’ can be used many times. Oh yes, I do reuse my composts many times over before eventually they are returned to the garden. If I can repeatedly reuse the soil in the garden without ever replacing it why not the same for my compost in a pot? 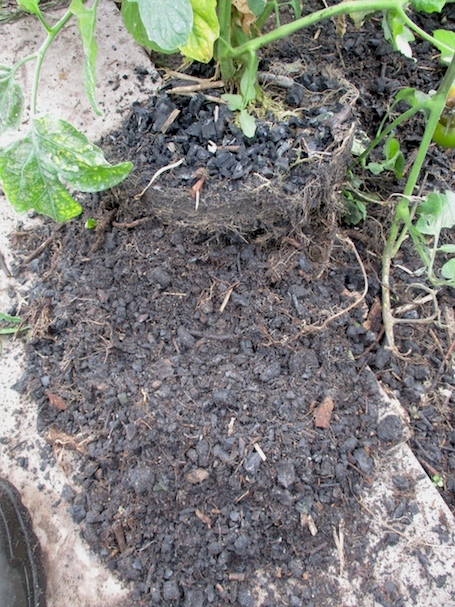 Unlike regular compost, charcoal does not degrade. You can access more information about my way of thinking by using the links in my theme column. There are three posts under the title ‘biochar’ which proceed from Amazonian terra preta to modern interest in biochar and my own unusual method of making my own charcoal. Under ‘Seed and Potting Composts’ I write about why I use soil as a compost and under ‘Seed and Potting Composts (2)’ is a series of four posts that deal with compost generally. My attitudes to garden hygiene are revealed when I confess to not washing my pots! My writing today about my use of char is anecdotal. I stand by my recent post that trials done by gardeners are invariably useless. So too are many ‘proper trials’ when done by ‘interested parties’ or reported after the publicity department has got hold of them or worse when a reporter has added his own shallow veneer. My use of charcoal that I am about to report was on only sixteen pots of tomatoes. There were as is normal for me several varieties. Eight spent early Summer outside before I had room in my greenhouse. Eight were inside all the time. Although I tend to water and feed at the same time I micromanage individual plants to get the best result I can. There was no experimental control. My only comparison was with my own expectation of how my tomatoes should perform after fifty years experience of growing them. As I say anecdotal! If I even state that I was pleased with my crop it might be demonstrating the benefits of the higher level of nutrition than anything to do with charcoal! The most I can actually show is that charcoal can be used to grow a good crop of very nice tomatoes. (And my definition of ‘nice’ might be different to yours if you prefer the pap from the supermarket). Having persuaded you that my experiments are of little comparative value I will tell you about my experience with my homemade bio char as an ingredient in potting compost this year! Rather than piddling about with small charcoal additions I decided to go the whole hog on this year's crop of tomatoes. Eight of my ten-litre pots were made up of 100% nutrient enriched charcoal and eight with equal volumes of charcoal and soil. I fully expected to find nutrient deficiency in the total char treatment. There was none, nor did any develop. My YaraMila Mila fertiliser which I used as a base and top dressing was the same as used for the earlier char fortification. YaraMila’s analysis shows that it contains the major plant nutrients and all essential trace elements. 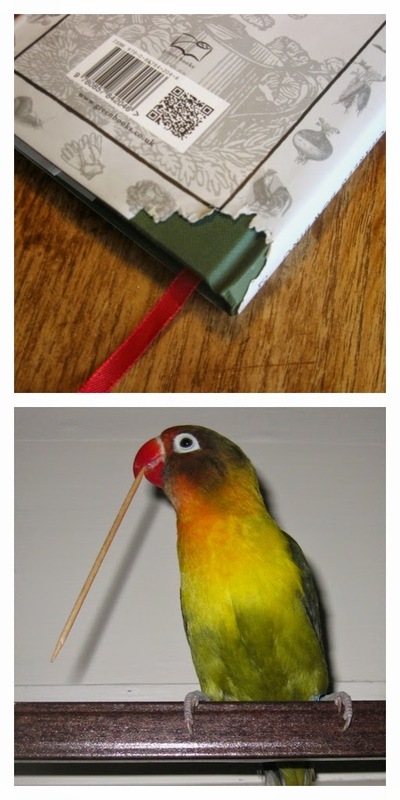 It worked for me. I actually sowed all my tomato seeds in the fifty/fifty mixture. As my charcoal is un-sieved and a little lumpy the seedlings were rather unsteady! Another time I might sow a little deeper. In contrast I sowed very fine seeded annual mesembryanthemums on the same day when I scattered seed on the char compost surface. They germinated freely and were patched out to make very fine plants. I must confess that charcoal is not very nice for the fingers and I needed my dibber. By my normal standards this year's tomatoes have made very fine plants. Some are still cropping at the end of October. 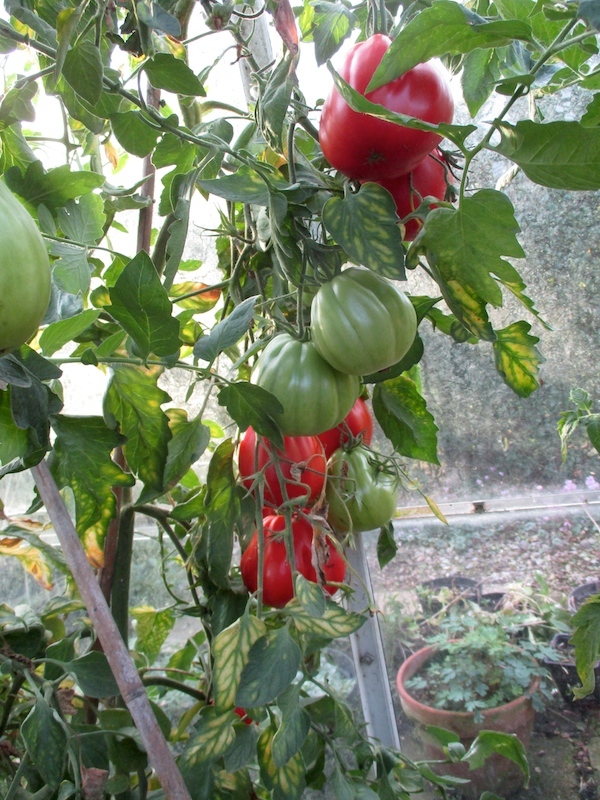 One in particular had lots of ripe and green fruit on truss number seven. That's good for me. I received Peter Williams' accolade when he watered this Summer when we were away! Word from the kitchen was that the tomatoes were as tasty as ever and that Shirley was ‘putting on weight’ and bigger than usual and the Marmandes were huge. I am afraid quite a few of our tomatoes were wasted this year even though given to friends and relations. We had too many even with Brenda repeatedly freezing. There have been suggestions that growing in charcoal might leave plants open to pest and disease. In my view this is complete nonsense and seems to be based on white coated laboratory experiments and not trials in the field. Indeed many field trials around the world seem to confirm healthy growth when charcoal is added to the soil. In respect of plant health my own plants grown with charcoal were perfectly normal. My experience adds less weight as I never suffer whitefly and red spider mite which are completely absent from my garden as a result of careful isolation. I have dabbled with charcoal in my composts quite a bit this year and most of the rest of my plants have had between ten and thirty percent additions. In practice this was loose handfuls of charcoal mixed into my soil when I did any sowing or potting! In one case I was intrigued to find six tiny pots of some strange red seedlings. I had forgotten I had sown a few beetroot to see what would happen in the charcoal. I popped in each potfull of five or six undisturbed seedlings into my vegetable plot. Never have I had better beetroot. They were much better than the same beetroot sown direct in the ground. My peppers are always on a knife edge during propagation as I have no artificial heat in my greenhouse and are somewhat at the mercy of the vagaries of the season. Sown at the same time as my tomatoes - for their first fortnight in our heated conservatory - I lost all but two of my ten delicate seedlings. I had just one ten litre pot in a half charcoal mixture. The pot produced six lovely red peppers, better than ever before. Even Mark Willis would have been proud of them. Unfortunately Brenda was called away to her phone and they were cooked to a cinder (well actually char). Is it worth using charcoal in a compost? It is for me but then I don't like spending money on what these days is often dubious compost from the garden centre. I don't really like peat as it tends to dry out and these days I can't easily find any! As mentioned I usually get good results with my own garden soil. Ameliorated with charcoal for some plants it seems to be marginally better. 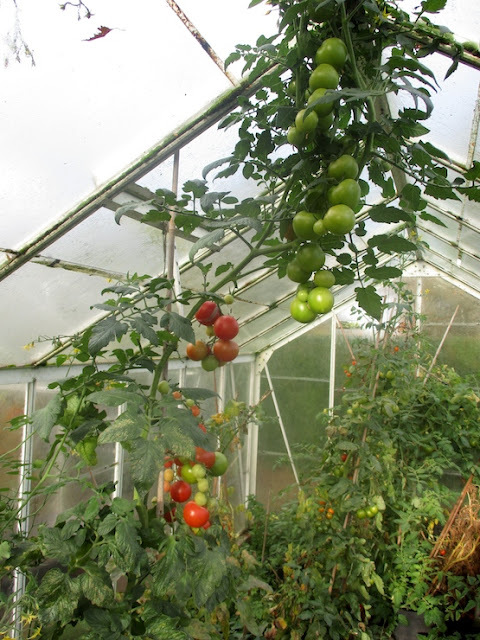 Possible advantages for me include that the 'cut off' between sufficient water and wilting on hot days in Summer is less sharp than in certain organic composts and being heavier my pots of tomatoes are more stable in wind. I qualify this last point as I have never actually weighed them and completely dry charcoal is quite light. Mixed with sandy soil my compost weighs quite heavy. I did find that an inserted stake in my tomato pot is NOT very stable as my own lumpy charcoal tends to be loosely bound together. Lesson for next year is to put the 8ft. cane into the ground. I tend to neglect my tomatoes towards the end of their life when we have more fruit than we can deal with. My main omission is feeding and I will say nothing about lack of trimming! I did find at the end of their season my tomatoes declined very gracefully. The main surprise with the tomatoes was that there was little discernible difference between the two levels of charcoal.If anything, the best plants were in the all-charcoal. As I said earlier my efforts might show more about the feeding than about the char. Although I would like to persuade you that my method of making charcoal is well worth doing if like me you are able to have bonfires, I have no experience with biochars sold on the market! Biochar has huge international potential for soil improvement and is widely researched. I hope it has an exciting future. You can now buy biochar. It will be quite different to my own homemade char. New ideas bring in exploitive products. I am unable to advise you about them! For what its worth it would be uneconomic and probably very foolish to buy charcoal marketed for barbecues to put on your garden! I confessed to not washing my pots and denied any problems with damping off.